ASSISTED REPRODUCTIVE TECHNOLOGIES (ARTs) are multidimensional and complicated, as are the human rights and ethical debates surrounding access to them. I commend Merve Emre for providing readers with a glimpse of what it is like to be subject to this surreal realm of medicine. 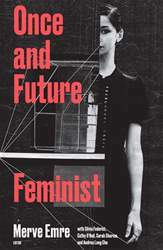 As Emre notes, feminists—as well as women’s health and human rights organizations—have fiercely critiqued ARTs since the 1970s. While early groups such as the Feminist International Network of Resistance to Reproductive and Genetic Engineering (FINRRAGE) faded away, new ones have sprung up in their place, including the Center for Genetics and Society, Stop Surrogacy Now, and We Are Egg Donors.